Acne normally occurs in your teen years. Nevertheless, it can develop in adult years as well. Acne causes vary from persons to persons. 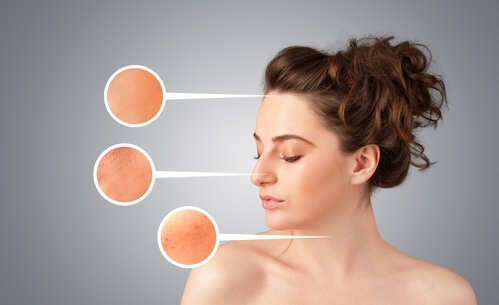 Read on here for 7 acne skin care tips to cut down acne occurrence and reduce damage to your skin. 1. Whether or not you are suffering from acne, it’s important to wash your face every day to remove impurities, dead skin cells, and excess oil from your skin surface. Clean skin gently, using a mild cleanser specially formulated for acne (avoid harsh soap like deodorant body soap). These products usually contain salicylic acid or benzoyl peroxide, which help to clear acne sores. Use warm, not hot, water because hot water can damage the already inflamed skin and cause more irritation. Try to cleanse your face in the morning, evening, and after heavy workouts. 2. While washing your face, use your clean hands or a very soft cloth because scrubbing your skin with terrycloth, flannel, exfoliating glove, loofah or other scrubbing material may worsen the acne or cause scarring. Make sure to rinse well, and then dry out your face with a clean towel. After using the towel, throw it in the laundry basket, as dirty towels can spread bacteria. 3. Many topical acne care products contain ingredients that dry out skin, so If you need then use a moisturizer that minimizes dryness and skin peeling. Choose a light, non-comedogenic moisturizer that does not aggravate acne. There are oil-free moisturizers available on the market that contain anti-bacterial agents for acne-prone skin. Whereas, a gel-based moisturizer normally works well for oily skin, but in case of dry skin you may try a moisturizing cream or lotion. On the other hand for combination skin, you may need two products, cream or lotion for the dry area and a gel for the oily part. 4. Use makeup sparingly.During an acne flare-up, better avoid wearing foundation, powder, or blusher. If you must wear makeup, choose oil-free makeup. Read the label and look for the word “noncomedogenic”. Such products do not clog skin pores. Water-based cosmetics are also available. Always wash off the makeup at end of the day. 5. While washing your hair, use a gentle shampoo and conditioner. Keep away from using fragrances, oils and harsh chemicals on your hair. Such ingredients can trickle down to your face, blocking the skin pores and irritating your skin. Shampoo your hair regularly. For those who have oily hair should shampoo their hair more often as oil from your hair can add to the oil on your face, particularly during an acne breakout. Also, if your hair is long keep it pulled off your face. 6. Avoid touching your skin. Not only this can spread bacteria, but can also irritate the already inflamed facial skin. People who squeeze, pinch, or pick their pimples can get scars or dark spots on their skin. 7. Stay out of the sun. Many acne medicines can make you more prone to sunburn. Staying in the sun a lot can also cause skin wrinkles. 8. Try an over-the-counter acne product. Topical acne products may contain ingredients like benzoyl peroxide, an antibacterial agent with a drying effect, or salicylic acid, an agent that exfoliates skin. Start with small quantity at first. Then increase or decrease the quantity and how often you apply it, depending on how much peeling or drying you get. Use such ointments with care if you have sensitive skin. Benzoyl peroxide can cause redness and scaling of the skin. It can also bleach your clothes, towel and hair.